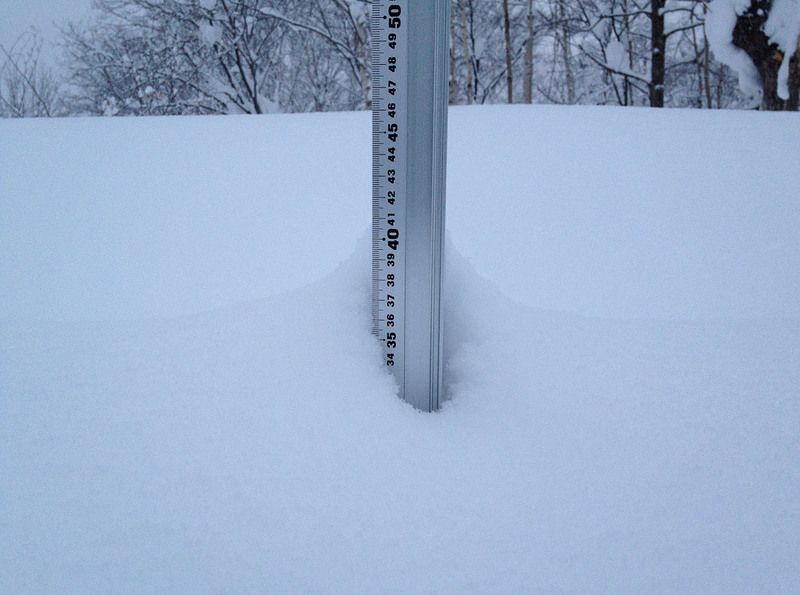 *8.6cm of fresh snow has fallen since yesterday morning and at 6:50am today the temperature was -4°C. It is snowing lightly again in the Hirafu village and once again we are hoping for the weather to clear – conditions on the mountain will be great with heavy snow falling yesterday afternoon. Niseko Mt Resort Grand Hirafu will be our pick and a few top to bottom runs via Large, Green and Sennoki await. Remember to always be prepared with the right gear if venturing into the back country and never hike alone.